I absolutely love Mexican food. In fact, I’m sure I could eat Mexican food every day! 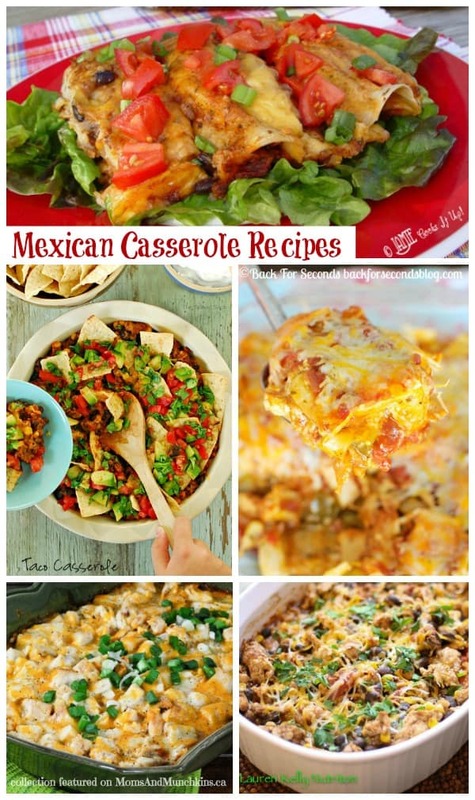 These Mexican casserole recipes all look so delicious and I want to try them all. This is a collection of recipes from other talented bloggers. To view the full recipe and more mouth-watering photos of each, simply click on each of the recipe titles. Do you ever see a recipe that makes you want to lick your computer screen? 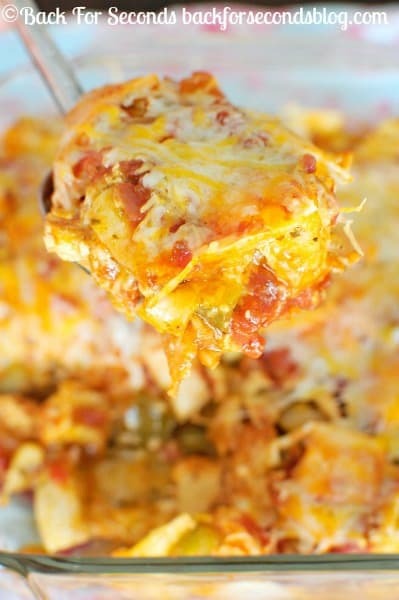 This Taco Casserole Recipe (pictured above) by The Gunny Sack is one of those recipes! This Chicken Tamale Casserole Recipe by Gonna Want Seconds can be made a bit spicier by substituting the mild sauce for hot. I know we wouldn’t have leftovers of this delicious dish! 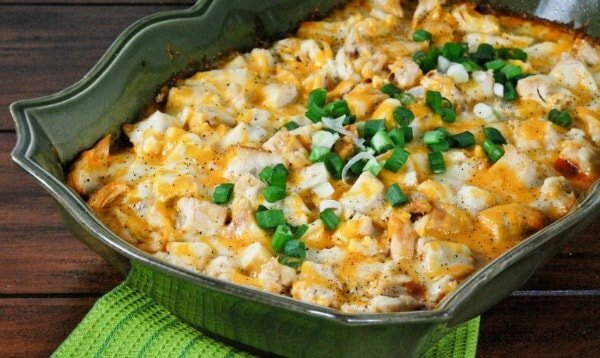 I love fajitas so I know I’d love this Easy Chicken Fajita Casserole by Back For Seconds. It looks too delicious to be an easy recipe, right? It only has 6 ingredients! 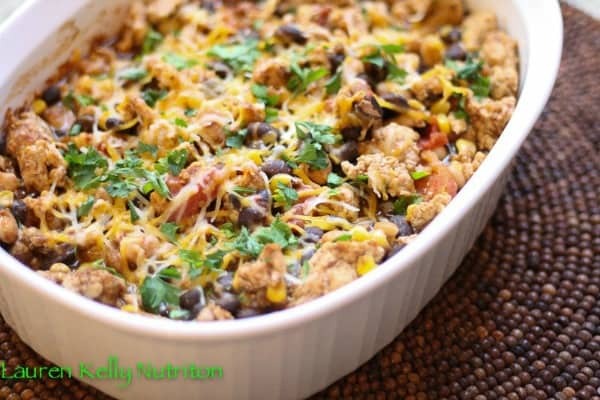 This Healthy Mexican Casserole by Lauren Kelly Nutrition looks so good! Since it is a healthy recipe, I don’t have to feel guilty about seconds (or thirds)! 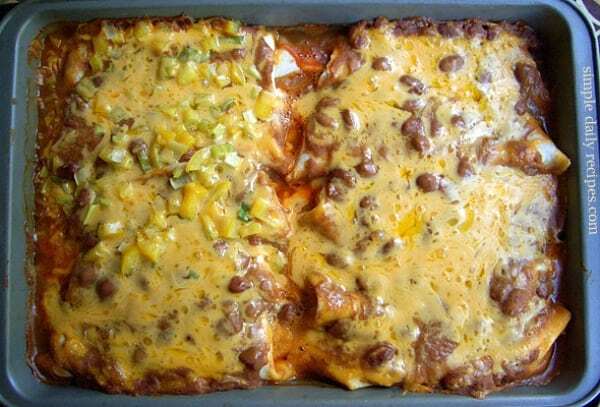 Here’s another recipe that looks too delicious to be easy – Bean Burrito Casserole by Simply Daily Recipes. I’m getting hungry just by looking at the photo. 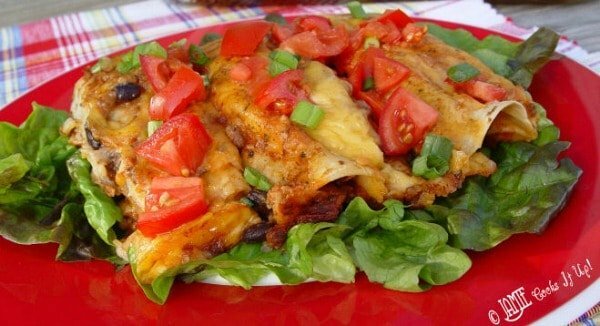 This Burrito Casserole Recipe by Jamie Cooks It Up only takes 20 minutes to prep and 15 minutes to bake. I wonder how many minutes it would take for your family to gobble it up? 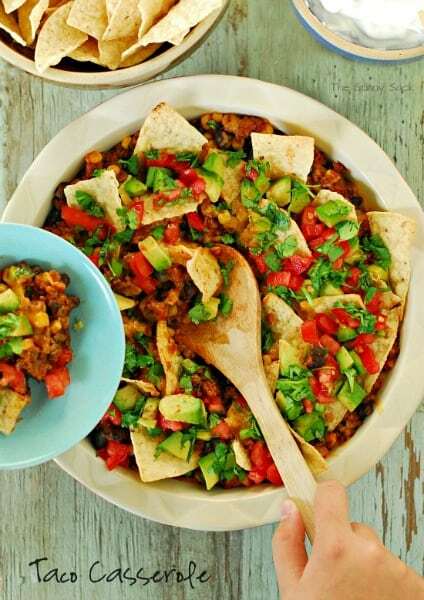 For more delicious Mexican recipes (plus appetizers, desserts and family meals), visit our Party Food & Family Meals page. We’re always adding new recipes. Never miss an update by following us on Facebook, Twitter, Pinterest, Google + and Bloglovin’.